We use Gmail for any type of communication including personal and business. Did u ever feel that it miss some important features like read receipts that we see in Whatsapp messages? It’s useful to confirm that the recipient read the email and he can’t reject it at a later time. Gmail is already providing this feature for its business customers who are subscribed to G Suite. 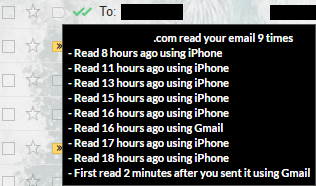 Others have to install browser extensions to get read receipts for their Gmail. Boomerang is the most popular extension to bring advanced features to your Gmail account. It supports several browsers including Chrome, Firefox, Safari, Opera, and Android. Firstly, find and install Boomerang extension from your browser settings or from the official site. It will ask your permissions to activate. After finishing the initial setup, go to the Compose screen of your Gmail. It will show Boomerang menu options at the bottom. Choose your recipient and type message. Then, click on the? icon with email icon to request read receipts for your email. After clicking on the icon, it will add this note below your signature, “The sender has requested a read receipt”. The recipient can deny the read receipt by clicking on the following link. In such a case, you won’t get any notification about the sent mail. If not, you will get a mail from Boomerang as soon as he open and read the mail. Open it and it will ask you to visit messages post. There you can find detailed reports of all your mails. 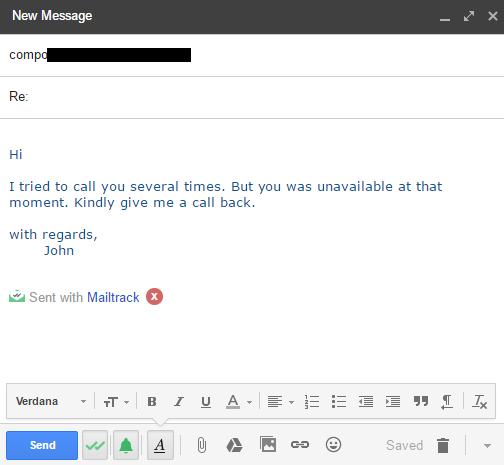 Mailtrack is another well-liked browser extension for read receipts. It supports leading browsers like Chrome, Firefox, and Opera but not in smartphones. 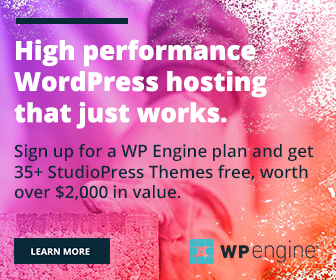 Install it from browser settings or official site here. After giving needed permissions, open the New message window in Gmail. Choose to whom you are going to send mail and type message. Here you need not seek read receipts for each mail. It will automatically collect the details of your email and get back to you. Recipients can’t deny read receipts like we saw earlier as there’s no such option in Mailtrack. 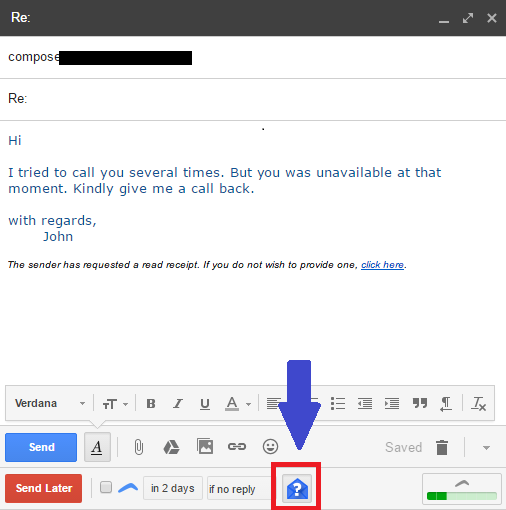 However, you can disable email tracking for individual emails by clicking on the double tick mark from the bottom menu. 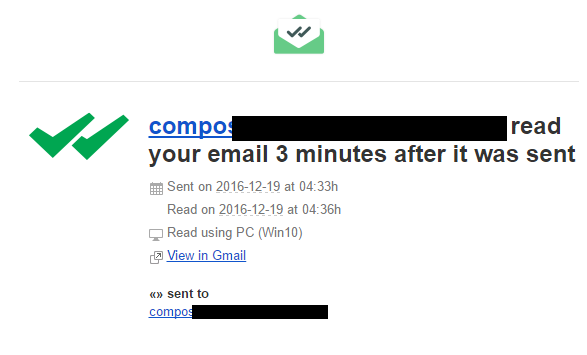 As soon as the person opened the email, you will get a notification email from the extension. Click on the Mailtrack icon on the top right corner of your window or next to Gmail search bar for detailed tracking reports. Otherwise, visit sent mail section from the left pane, mouse over to tick mark of proposed mail. It will show all activities of your recipient including how many times he read the email, from which device, at what time etc.